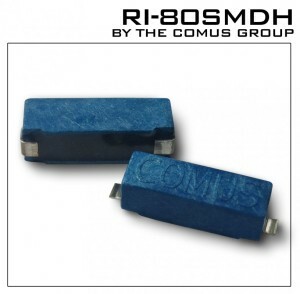 One of the world’s smallest reed switches, the RI-80SMDH is protected by a robust plastic housing, allowing the user the ease of mounting without having to worry about undue stress robotic pick and placing can cause in their automated process. The COTO reed switch line is recognized as the only true ATE (automatic Test Equipment) grade quality switch line; an aspect that many customers have come to rely on in their applications. The world’s demand for sensors and on board computer systems with a wide variety of functions is rising. Such devices need to maintain even smaller profiles, due to which we are seeing an increased demand for smaller reed switches which can maintain the same quality, load handling capabilities and durability. Even with the housing added, the RI-80 package stands at a mere 7.1 mm length overall. Reed switches, unlike other magnetic sensing devices such as Hall Effect sensors, require no power to operate. This, coupled with their very high value to price comparison makes them an ideal choice when an application requires high reliability with little to no power availability.